With what looks like being a weekend of wall-to-wall sunshine, it looks like being a great start to the Easter holidays for many. April, in the events industry, also signifies the start of the busy period. 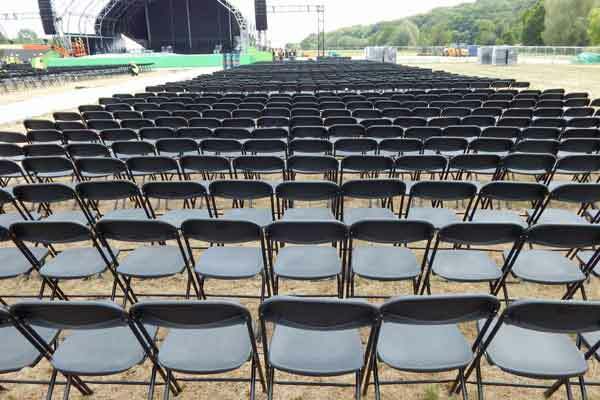 Event organisers are looking forward to the busy summer period, and looking to hire outdoor furniture such as picnic bench hire, outdoor patio chairs and tables hire and even barbeque hire as well as festival and outdoor event furniture. At the same time, our wedding furniture such as Chiavari chair hire and top table hire along with our outstanding range of Asian wedding furniture including mandap hire, wedding throne chair hire and table centrepieces, are of course also popular as we move into the summer wedding season. All our hubs in Walsall, London, Bradford and Manchester are busy taking orders, so as always, the message is to ensure that you book your event hire equipment as far in advance as possible. As soon as you know your venue, your dates and your estimated visitor numbers, then contact us. And of course it’s not only our extensive furniture rental range you can take advantage of this year – we are also specialists in commercial catering equipment hire, event crockery hire, cutlery and quality glassware hire so you can source everything you need from the same place, keeping your life simple and straightforward.